To order is not necessary to register in the page (but recommended) To register you must fill out a form with the necessary data to process orders correctly as possible. With this record you can track the order, download invoices, create shopping lists, etc. If you want to place an order without registering, you must select the option "Quick order". You will have to fill in the necessary information to process the order correctly but does not create a customer account. 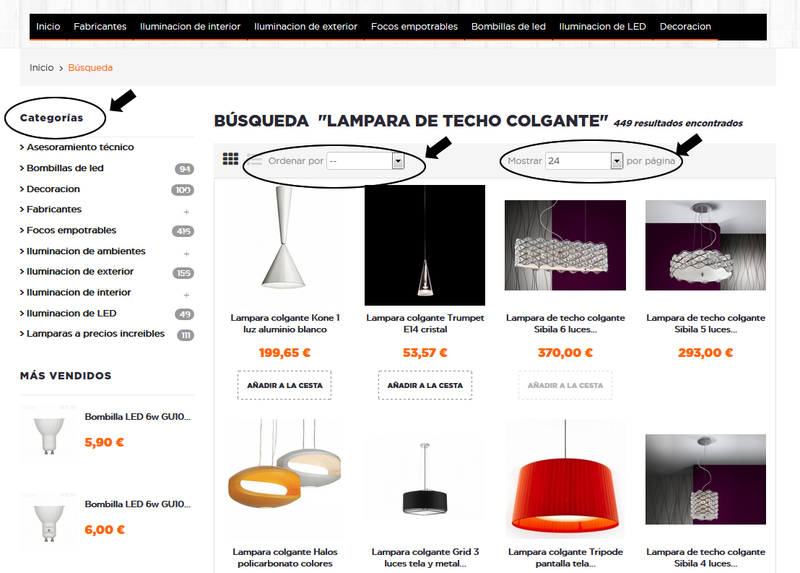 Navigate and find the products, either through higher categories menu or search box detailed in the image. In the search box you can enter related words such as: fabric lamps, ceiling lights, LED bulbs GU10 and product offering will fare results as accurate as possible. 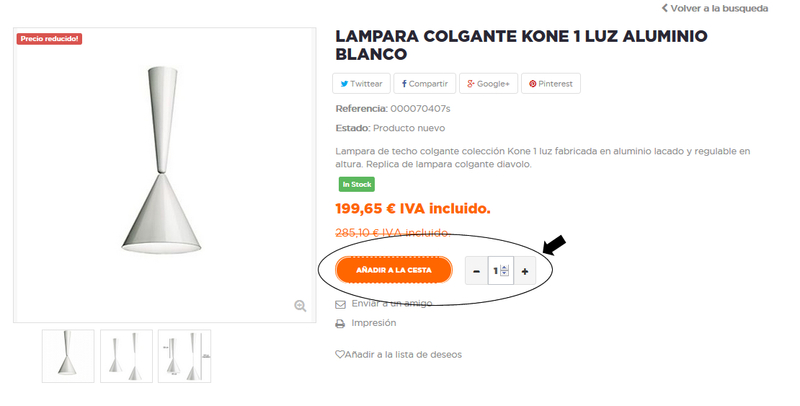 The products are displayed in the appropriate categories, but you can order as presented according to different values (price, name, availability, etc). This will facilitate finding the right product meeting their needs and preferences. To add products to the shopping cart, simply "click" in the box "add to basket". You can also increase or decrease the amount of product through the symbols that are in the product details. You can view the summary added to the shopping cart at the top right of the page. Once registered and in our shopping cart, you have to select the payment method (bank transfer, PayPal, credit card or cash against) we want for our order. If you choose the payment by bank transfer, you must make the transfer to the account number that will automatically appear on your receipt of the order. You can view the development of the order from the "My Account". If your order has been paid by credit card or Paypal, will be processed immediately. If you have chosen the method of payment by bank transfer we will manage once we have received payment. The Speeds are indicated on each product page in order with several products and different deadlines it will be held on when they sent all available. ONCE THE ORDER IS MADE, HOW LONG TAKE TO RECEIVE IT? Once the goods have been collected by the transit agency will be in your home within 48/72 hours (according to the destination). For shipments to the EU the term can be extended up to 5 days depending on the destination. Provided that the orders are sent will receive an email with all the information necessary for follow-up. CAN IN RETURN MY ORDER? You can return an order under the Law of the Retail Trade (Law 7/1996) in reference to ecommerce sales. So you have the right to return products. HOW CAN IN RETURN AN ORDER? Purchase returns will be accepted until 14 calendar days after receipt of the goods, performing back 100% of the value of the goods acquired always we have received and reviewed the merchandise being returned. We proceed to carry out such reimbursement using the same means of payment used by you for the initial transaction. You can request a refund through the section of "My Account" client. IF I RECEIVE A DAMAGED PRODUCT? If you receive a damaged product by the transport agency, you shall notify preferably within 24 hours from receipt of the goods. We must communicate through the link at the bottom of the page "Contact Us" or by phone, we will contact the transit agency to fix it as soon as possible. CAN I CANCEL AN ORDER ALREADY MADE? 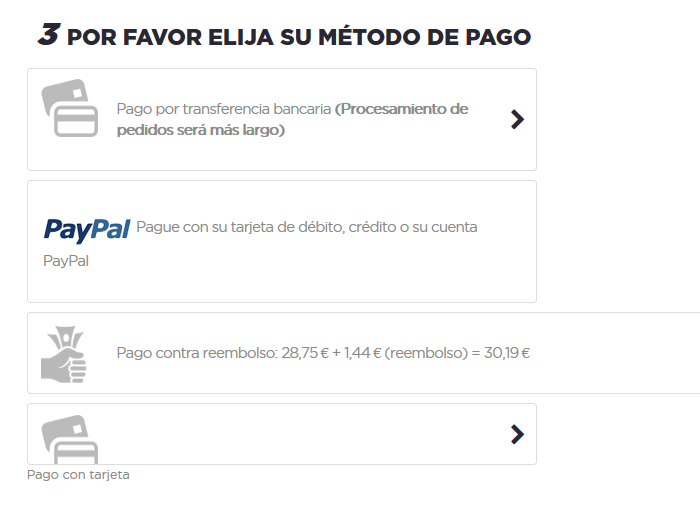 In case you want to cancel the order once made after 12 hours of being placed, you must request it by email and will be charged a fee worth 10€ for expenses of bank management. DO ALL PRODUCTS HAVE GUARANTEE? All lamps and light fittings sold on the website are new from the factory and have at least 2 years warranty. Certain products extend the warranty to 3 or 5 years and is specified in the product details. We put at your disposal our Support Center so that you know how to act in any of the situations that may arise. You can contact us through different means.